Santa Rosa, California - Communities around the country are grabbing a leash and coming together with dogs big and small at DogFest Walk n’ Roll, a dog- and family-friendly event benefiting non-profit Canine Companions for Independence. This annual fundraising walk and festival culminates in a day of fun for all members of the family, including your four-legged friends! Love dogs? Love fun? Make a difference in your community and volunteer for DogFest. 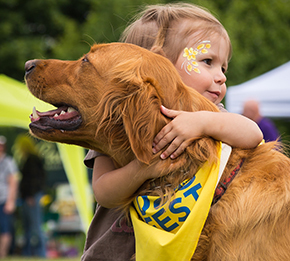 Now in its fifth year, DogFest events have raised over $4 million to help provide more assistance dogs to children, adults and veterans with disabilities in every state across the country. Canine Companions is recruiting local volunteers to serve on the planning committee for each event to help with logistics, publicity, sponsorship, entertainment and more. April is National Volunteer Month, and DogFest events are the perfect celebration of volunteerism for a great cause. Taking place at over 25 communities nationwide, registration is free and dogs attending receive a festive bandana. “I choose to volunteer to chair my local DogFest because I got to make a difference and have a blast at the same time,” says DogFest San Diego Chair Sondra Thiederman. 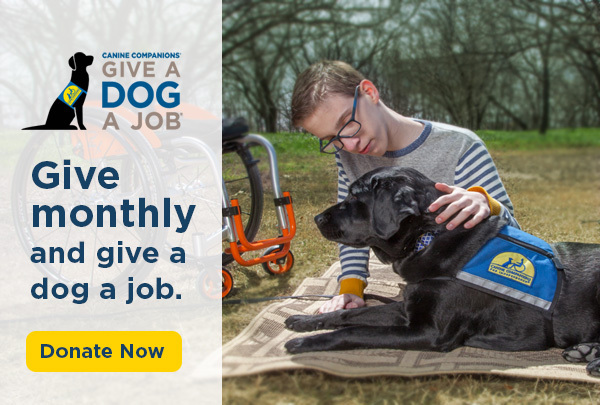 “Families get to meet puppies and assistance dogs, see the life-changing work these dogs do and can support the mission with their own dogs at a truly exciting event. To volunteer, register for these free events, start your own fundraising page or donate to an existing team, please visit cci.org/DogFest. 3000 volunteers nationwide. Canine Companions is recognized worldwide for the excellence of its dogs, and the quality and longevity of the matches it makes between dogs and people. The result is a life full of increased independence and loving companionship. Learn more at cci.org/DogFest and on social media at #DogFestWalknRoll or call 1-800-572-BARK.